Air pollution in China is reducing quickly, said Turkish Ambassador to China Abdulkadir Emin Onen. During a recent interview with Xinhuanet, the ambassador said the environment is improving rapidly, with impressively bright, blue sky in Beijing. According to a research done by the University of Chicago, concentrations of fine particulates in Chinese cities have decreased by an average rate of 32 percent since 2014. "As I observed, China has made enormous progress during the past 40 years. While economic development is going on, China has also made big steps in terms of social policy and environmental protection," he said. The ambassador hailed China's great efforts in protecting the environment as a responsible member of the United Nations, especially in terms of fulfilling its obligations. Further explaining his view on China's role in the world, the ambassador highlighted President Xi's vision of "building a community with shared future for mankind," saying that it has become "an important concept for international affairs." He believed that within the framework of the vision, China's reforms and opening process would contribute to prosperity, peace and stability all around the globe. 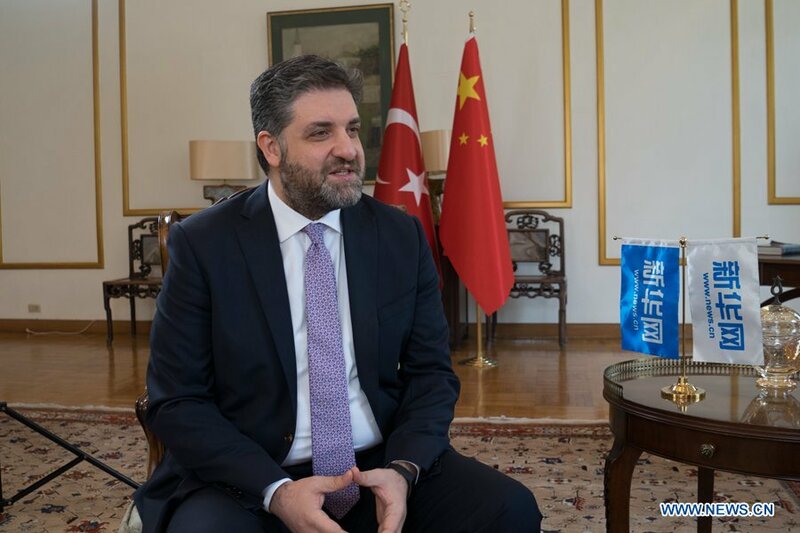 He also talked about cooperation between China and Turkey under the Belt and Road Initiative. The initiative has converging aspects with longstanding efforts to revitalize the ancient Silk Road, which Turkey was a part of, he said. He cited Turkey's Middle Corridor plan, an important project in line with China's initiative. The Middle Corridor connects Georgia, Turkmenistan, Kazakhstan and China, and will create a modern road from Europe to China, he said. In his view, the Belt and Road Initiative cements ties among many countries on the basis of joint infrastructure projects, policy coordination, as well as people-to-people interactions. He extended warm welcome to Chinese tourists. "Turkey is one of the most exciting and positively surprising destinations in the world. It is not only a country of the sun, beaches and seas; it also offers unique culture and historical heritage," said the ambassador. This year is Turkey Tourism Year in China, and Turkish tourism players have a goal of hosting 1 million Chinese travelers, he said.